Have you ever been sitting at home innocently perusing the TV channels when suddenly a song pops into your head? Not the whole song but a fragment of it making you repeat that part and create a mental imagery of what you have seen while listening to that song. If yes, you are not alone: certain ads are so memorable that they will not let go off staying in your mind until you have the strong desire to obtain what they show. 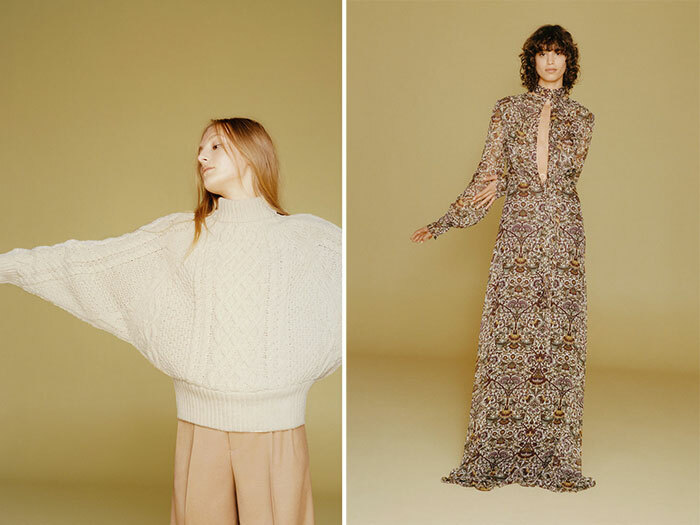 The high-street giant Zara has prepared its brand new fall 2015 advertising campaign comprising enchanting pictures of trendy pieces and a short clip that will pop into your mind with the mysterious melody of its background. 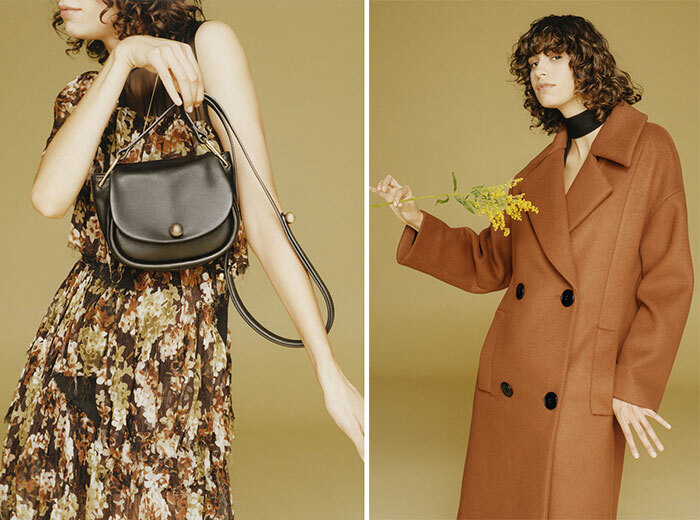 We see familiar faces in the Zara fall/winter 2015-2016 campaign: taking the ads quite seriously, the objective of Colin Dodgson features the Argentinian model and Prada muse Mica Arganaraz, who was lately captured in Dior’s fall 2015 campaign, and Adrienne Juliger playing the roles of mysterious unspoken beauties. Going natural for the campaign Zara has chosen an abandoned house surrounded with grass and plants, which have seized the territory, and are about to break through. Posing in relaxed and dreamy ways models sport long lightweight chiffon dresses of varying color palette and designs. There are transparent floral long-sleeve dresses with ellipse front open cuts, azure and rust sleeveless gowns with black trimmed close neck and open cuts at the back of the waist, a sangria-black overclose dress with a wavy collar. The Zara fall 2015 collection contains an air of loose casual and relaxed asymmetry, which shows off in every piece: the oversized buttoned trench coats of brick and mahogany colors, oversized chunky sweaters to allow any free movement of your body, careless variants of strict classic beige trousers and long A-line skirts. These seem to be meant for fitting any body type, which is quite cosmopolitan and non-discriminating, we should say. Particularly adorable is the curious dress on curly Mica: the deep cut V-neck, under arm angle cuts on white thin-strapped top and berry-garnet skirt with a geometrical pattern on it make it both unexpectedly attractive and proper for everyday wear. Of course, Zara would not let the collection only with clothes, so there are the few but worthy accessories ” a black leather saddlebag, a cold coral clutch with no pattern or detail on it and a no less minimalist mahogany straight scarf to go with almost anything you choose to put on. The hair and makeup idea offered is loyal to the minimalist careless spirit of the whole line with natural hairstyle and “no makeup’ look. Zara is the one brand we all love for its meeting the consumers’ requirements and always offering relatively affordable pieces, which are trendy, fashionable and non-forcing at the same time. With this new collection, you, Zara-lovers, get the next opportunity of looking stylish and saving up time from overthinking your outfit. As long as we all are very busy in fall and winter, we thank Zara for taking care of our fresh effortless but chic looks.